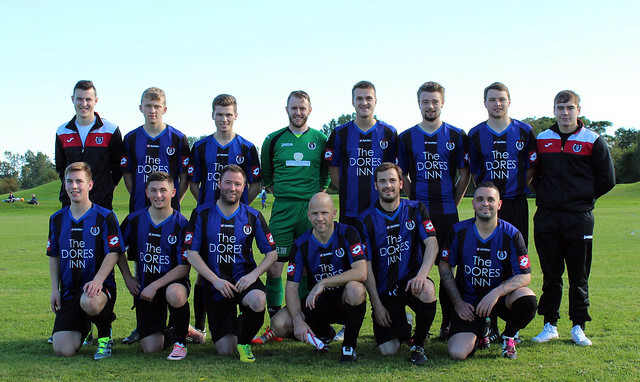 A HARD WORKING St Duthus overcame all expectation with a stunning 3-0 home win over North Caledonian League champions Halkirk United at the Links this afternoon. Missing several players due to work commitments and injury once again, Saints manager Stuart Ross named a side with no fewer than five players under the age of twenty in the starting lineup, while trialists Michael Newlands and Sean Scott joined Andrew Miller on the bench. Persistence from Will Ross set up the Saints' trialist midfielder Jon Campbell to score a sensational opener after 12 minutes, the former Brora man rifling the ball past Graeme Williamson to give the Saints a well deserved lead after showing great promise during the opening period. During a first half throughout which the Saints were mostly in command, forwards Jake Lockett and Jamie Skinner were both unlucky not to net with chances on goal, Lockett heading wide with one chance, before hitting the post with another, as the ball rolled along the goal line. 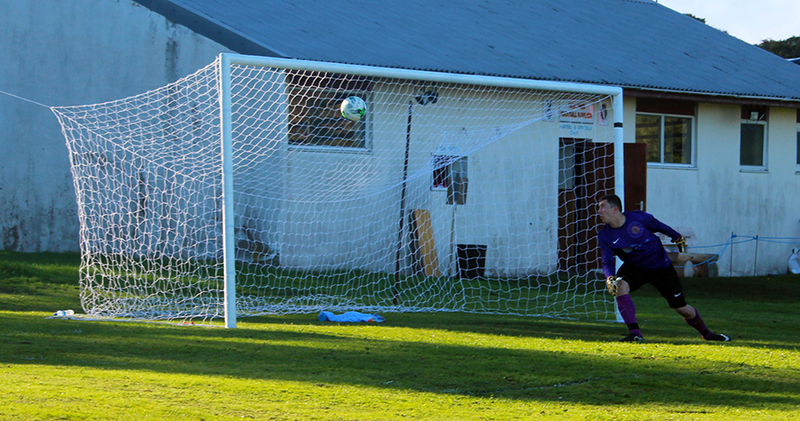 Steven Learmont was also unlucky with a shot that hit the woodwork. Moments later, Steven Martin had to be alert with a display of careful technique on 20 minutes, after a short passback forced him into some quick footed play to prevent a chance for Halkirk, as the ball proceeded to fly across the face of his goal before being cleared to safety. The Saints rode their luck with a series of corners for the Caithness side as the first half progressed and Martin had to be on his toes again to collect a number of cross balls, before producing a tremendous save on the 40 minute mark to ensure that the score remained 1-0 at half time. 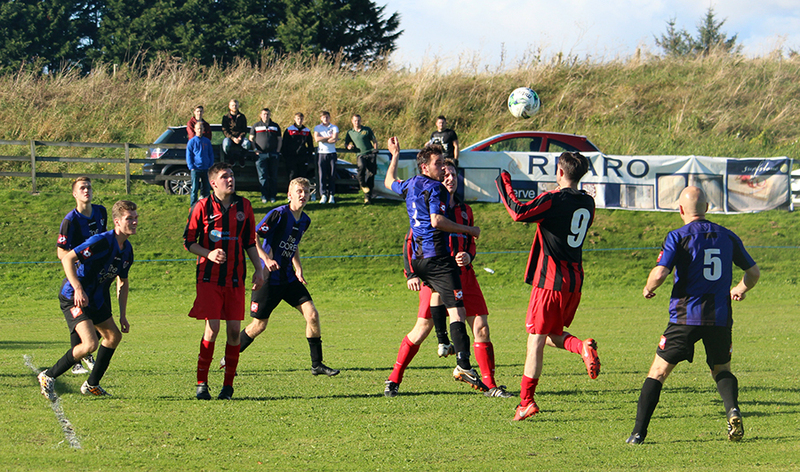 The second half opened with a second goal for the Saints, albeit fortuitously. The unsuspecting Halkirk trialist centre half Richard Budge turned the ball past his own keeper from a Learmont cross just one minute after the restart, handing the home side a much more comfortable 2-0 lead. Chances fell for both sides throughout the early stages of the second half, as Halkirk looked for a way back into the game, undeterred by the own goal setback. The Saints continued to pressurize every time they got the ball, looking to capitalise on the pace and trickery of Lockett and Skinner up top, compounded by the hard work of Learmont, Mackintosh, Cowie and Campbell in the middle of the park. Cammy Mackintosh in particular was unlucky not to extend the lead on 70 minutes with a superb chance that he placed wide of the post. Shortly after, Jake Lockett played a fantastic cross to the trialist to find him in an excellent position six yards from goal, but the midfielder took enough time for Williamson to react and block the shot on goal as the ball flew wide for a corner. A late period of resilient defending and good goalkeeping ensured that the Saints' first clean sheet of the season was assured, with veteran defender John Skinner in particular showing great ability with a last ditch tackle performed after covering the length of the park following a corner at the other end. The victory was put beyond doubt soon after though. Rounding off the victory on 83 minutes, Jamie Skinner capped off a great performance when he scored an outstanding goal, curled from the edge of the box beyond the reach of Williamson neatly into the top corner of the net. 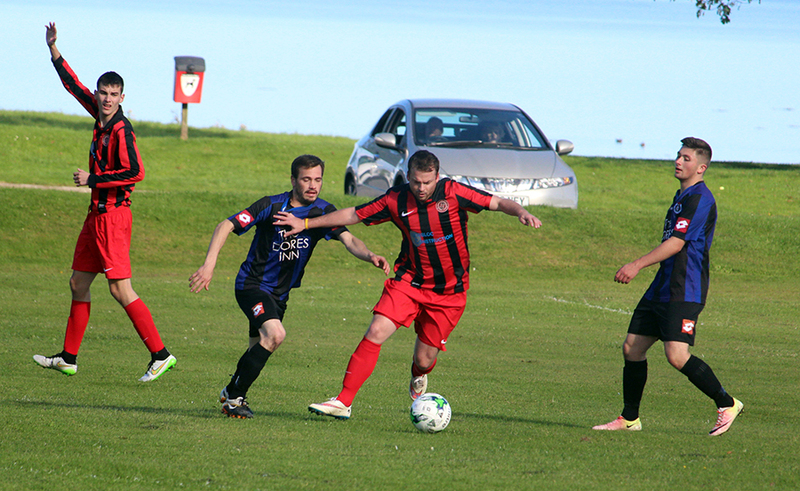 The win sends St Duthus into second place in the North Caledonian League, behind neighbours Invergordon, who have played a game less. Next week, the Saints will look to continue their winning league form away to Thurso, making it a Caithness double in October. Today's match was sponsored by R Macleod & Son, Tain. Click the image below for our Flickr gallery of the match. Photos taken by Niall Harkiss and Lucy Veals.